As 2018 came to a close our John Michael Exquisite Wedding and Catering team had the pleasure of working with Paula and Aaron for their wedding reception at Paradise Cove. 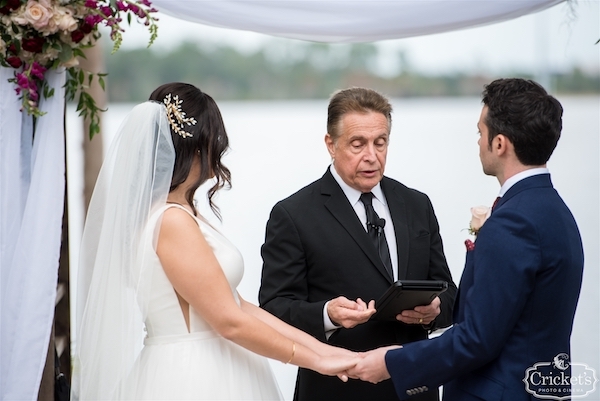 The beautiful Orlando waterfront wedding was hosted on the banks of Lake Bryan. 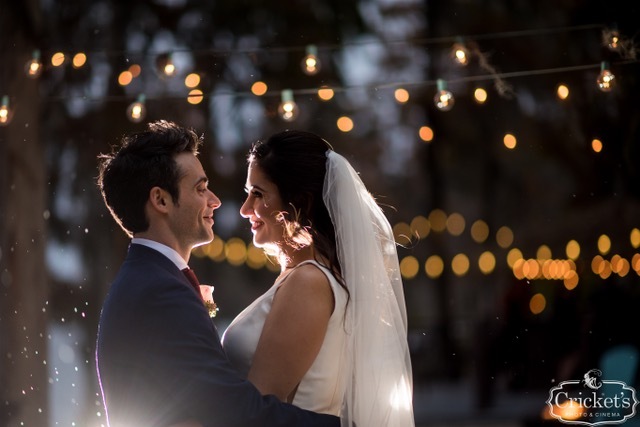 Our colleagues from Cricket’s Photo + Cinema did an amazing job of capturing the amazing details of the couple’s wedding day. One of the most amazing details that wove its way through Paula and Aaron’s wedding was their use of deep rich purple eggplant color that was almost a wine color. The color began in the deep tones of the bridesmaid’s dresses, the Gran Reserva Malbec of the couple’s wine ceremony as well as the floral décor and signage. 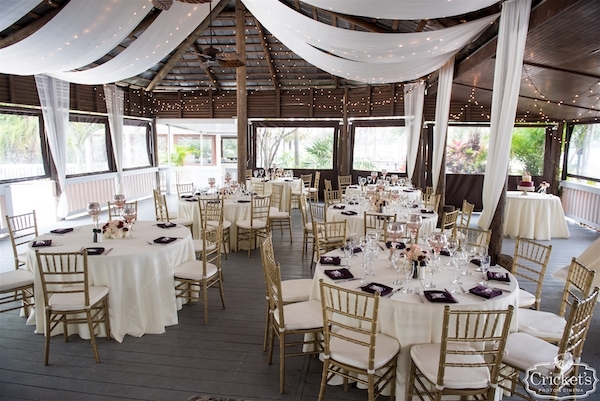 The wedding reception’s purple eggplant colored napkins popped against the ivory floor length linens. Guests enjoyed delicious butler passed hors d’oeuvres during the cocktail reception. Our signature meatball combined with blue cheese and wrapped in applewood smoked bacon. For their chef attended carving station Paula and Aaron chose our Carved Beef Brisket with caramelized onions served with sweet and spicy BBQ sauces and pomerey mustard which was accompanied by rosemary garlic, honey wheat and plain yeast rolls. Guests enjoyed tableside wine service during dinner as well as our full liquor bar; the margaritas were a huge hit. Following dinner Paula, Aaron and their family and friends packed the dance floor and danced the night away.